The morning following Ejaz’s return had been rowdy. Jahan woke to the sound of laughter and cheers, which meant her brother had invited his comrades to breakfast. Jahan would come downstairs as the last morsels of food vanished from the table. She rolled over and looked out her window to see that the sun had not yet risen. She sighed; it was just like Ejaz to not care who he woke this early in the morning. He expected the fidelity he received from his men to carry over to his home, even the passage of time. Another cheer erupted from below. It was now clear to Jahan she would get no more sleep. She kicked off her covers, swung her legs over the side of her bed and almost shrieked at the cold touch of the floor. Normally, her small window allowed in the morning light, heating her floor to a comfortable temperature. She hopped to her chest of drawers, knelt in front of it, and grabbed a pair of trousers and a clean tunic. She glanced to her closet at the single gown hanging from a golden hook in the wall. She detested wearing gowns, and their assorted accompaniments, but when her brother was promoted to Marquis, her parents forced her into one for his ceremony. The single gown hung in testament to her thoughts on what was considered the ‘proper’ role and dress for a lady. She smiled at what she suspected Ejaz’s friends said about her when they were certain she wasn’t listening. Dressed, Jahan ran her hands through her short-cropped hair. It’s getting too long, she thought, and she decided to have it cut that day – if she could avoid her brother and his entourage. She stood at the top of the stairs and sniffed the still air, before wrinkling her nose at the smell permeating from below. Regular bathing wasn’t high on the list of priorities of the Denizens of Dawn. Long hours of training and exercising followed by longer hours of partying into the night left an acrid odor amongst the army. Quaint bistros and taverns suddenly had no seating indoors, for if the warriors were allowed in the shops, everything would stink. When the Denizens of Dawn were in the city, some merchants hired doormen to sample any patrons attempting to enter. Most just moved their wares to the sidewalk and the open air. Jahan crept as quietly as she could down the stairs, ensuring no loose boards betrayed her movements. She wondered how much of her attempted stealth was required, as it was likely her brother and her friends were already drunk. “Enough, Ejaz! The bandit horde grows more brazen. They attack towns and villages along the Dawn Road…“ The comment was emphasized by the slam of a fist against the table. “Our road. We must muster the Denizens and wipe out this threat once and for all.” A chair scraped against the wooden floor, and footfalls sounded toward the kitchen door. Jahan hid behind the stairs, willing herself invisible. She peered through the wooden steps and suppressed a gasp of surprise. “I won’t tell you again, Ejaz,” the leader of the Dawn Council said through clenched teeth, jaw set. “Get your sister trained quickly. If we lose more warriors to the bandits, she won’t be the only thing to worry about.” The Councilman turned to the door, but looked to a dark spot under the stairs, witnessing Jahan’s eavesdropping. He frowned and stepped through the door, letting it slam shut with a clatter. Once the Councilman left, Ejaz and his comrades returned to drinking. Jahan grabbed her cloak and timed her sneaking out of the house with an especially loud cheer. She stood outside her home and stared down the deserted street. Those who were out could only be warriors or warriors’ wives looking for their husbands. She smiled at the sight of one of her older friends wheeling her unconscious husband along the cobblestone in a cart after a night of drinking. This was the City of Dawn she liked – it seemed more real, more so than the tapestries and scrapings of the noble families. The working class was truly the lifeblood of her city. Jahan shivered as a cold breeze blew off the river. She looked forward to the warming light the sun would bring to the Dawn Consortium. Spring was marching on to summer, and soon the city would be burgeoning with apothecaries and craftsmen, each one seeking special wood or herbs that seemed to flow inexorably back to the City of Dawn. She smiled to herself at the thought of her brother complaining about the visitors to the city. During the fall and winter, the Denizens of Dawn focused on warring, but during the spring and summer, they had to balance that with policing the city. She knew Ejaz relished on dispatching enemies with his sword, but watching over a rabble of merchants, craftsmen, and apothecaries left him longing for the ease of the battlefield. 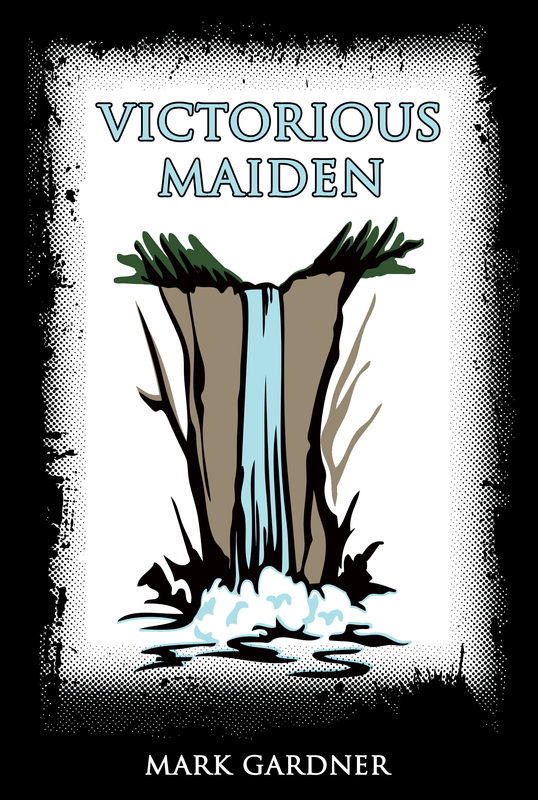 This entry was posted on Saturday, August 1st, 2015 at 09:00	and tagged with Victorious Maiden and posted in fiction. You can follow any responses to this entry through the RSS 2.0 feed.